Enchanted trees take Sarn to where the forest failed to uphold its rules. Seeing a dead child gifted with the same magic as his son unhinges Sarn. He vows to find out the truth no matter what the cost. But his gift is untrained and finding answers won’t be easy. Sarn must balance nights serving the Rangers with days dedicated to hiding his son from the dark forces stalking them both. When Sarn’s masters demand he abandon the quest, he faces an impossible choice—doom the ghost whose murder endangers them all or die from the backlash of breaking his word. With the odds stacked against him, can Sarn fix anything or will all be lost? 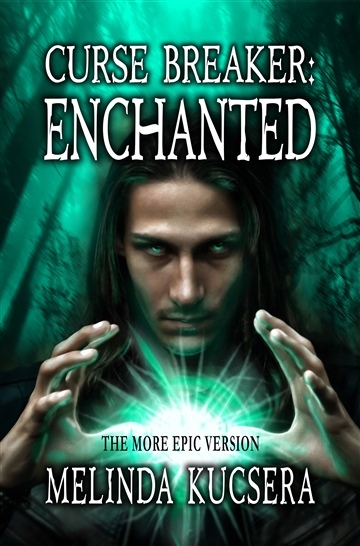 Get Curse Breaker: Enchanted [The More Epic Version] to find out. It's epic fantasy as it was meant to be. Fans of Anthony Ryan, Julliet Marillier, Michael J. Sullivan, Mercedes Lackey, Margaret Weis and Tracy Hickman will enjoy Sarn's struggle against dark forces to save those he loves and find peace for a troubled ghost and himself. Yes, this is a fictional character speaking to you. My fellow characters just locked our scribe (Melinda) in a tower. She needs to finish our latest adventure. We’re eager to entertain you with our magical mayhem. Go download our book so we can meet you.